The summer school is organized by the Institute of Ethiopian Studies of Addis Ababa University, with the Hiob Ludolf Centre for Ethiopian Studies and the Department for History and Culture of the Middle East (University of Hamburg, Germany), and the Institute of Research for Development (IRD, France), under the framework of SLAFNET (Slavery in Africa: a Dialogue between Africa and Europe). • Connections between slavery, kinship, inheritance and succession. The summer school is open to scholars with an interest in any of the themes above. We especially encourage early career scholars and PhD students to participate. The summer school will include visit to archives, a graduate workshop, academic presentations and discussions. An exhibition on slavery will be held in the Institute of Ethiopian Studies during the summer school. The organizers welcome submissions of abstracts on the themes and questions above. We regret that we cannot provide funding for participants external to the SLAFNET Project. 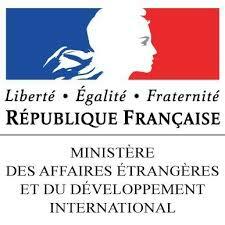 Limited funding is available to scholars from the region thanks to the French IFRE network in East Africa (CEDEJ & CFEE). The selection committee will make a decision on the retained abstracts by early February 2019. All presenters will be asked to hand in a preliminary draft of the proposed paper (of no more than 2000 words) one month prior to the summer school.